My daughter is home from FL to attend an Ohio State Buckeye tailgate party. I made her a clutch to carry and thought she may need a bracelet to match. While I was waiting on her plane to arrive, I stopped off at Jo-Ann’s in Columbus. Their store is much bigger than the one in Zanesville. 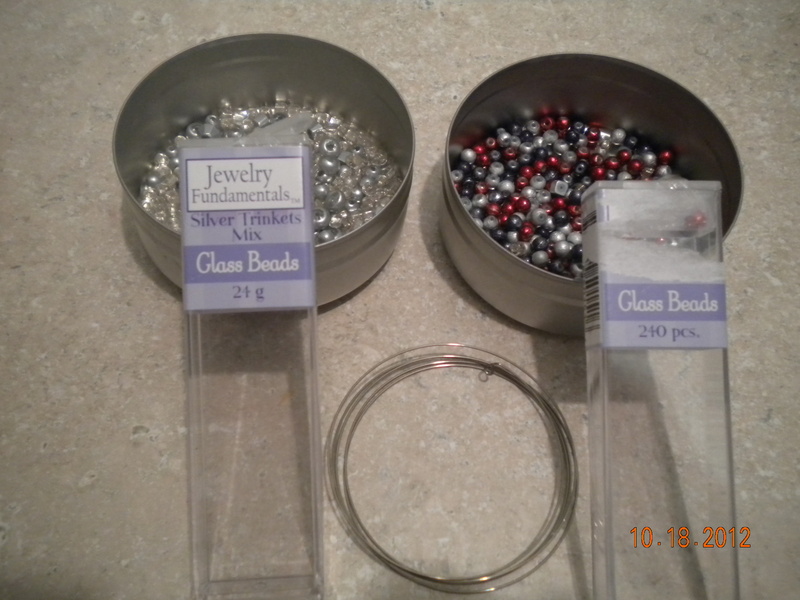 I checked out all the beads and came across two containers that looked like Buckeye material. I poured them out in little containers. I also needed a piece of memory wire which is pictured above. I think purchased it at Jo-Ann’s. 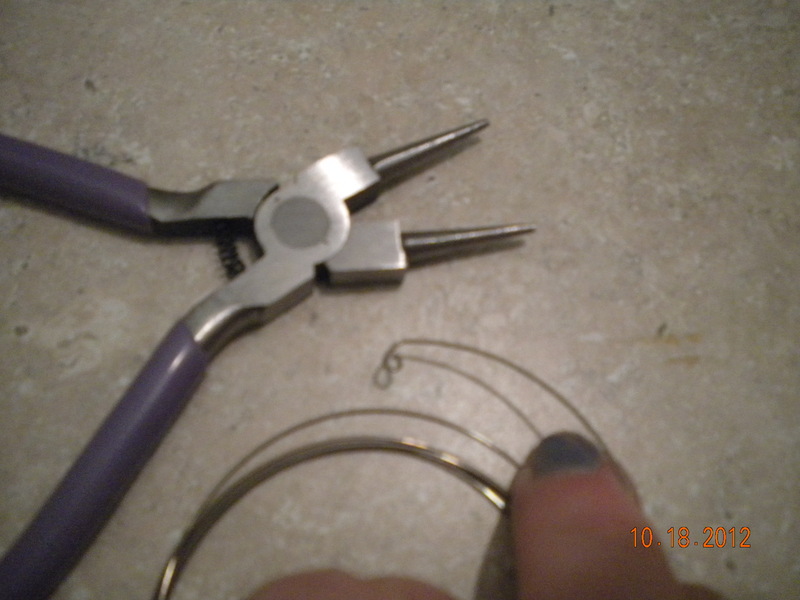 I made a bracelet a few years ago and I still had 3 pieces left. Twist a little piece of the wire on the end to keep the beads on and then randomly place your beads until the whole wire is filled. 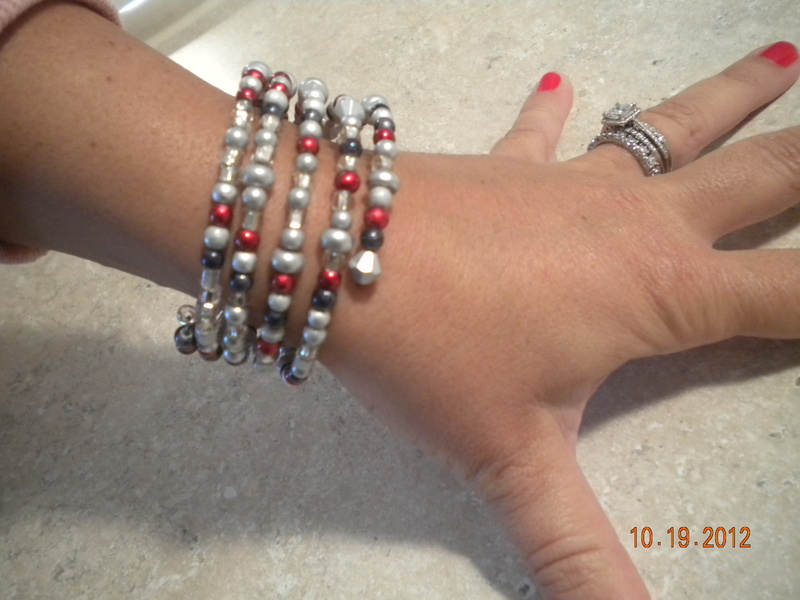 Twist the last end and there you have it…a one of a kind bracelet to wear to your tailgate party. You can make it any color or combination of colors you like, to match an outfit or your favorite team colors. Just have fun with the colors and types of beads. I only used small beads for this bracelet.